It’s been another busy time here at LabourStart over the last 10 days. Australia: We promoted the ACTU’s nationwide protests as a top global news story on LabourStart, and across social media. Our Australian Twitter account had been suspended by the company, but we’ve now managed to get it reopened. Global: Shared widely on social media and made a top global story out of the IFJ campaign for a UN convention to protect journalists. Iran: We shared an Education International story about repression of teacher trade unionists widely on social media. We also shared widely an International Transport Workers Federation story about attacks on transport workers. Russia: We closed our campaign in support of Professor Maxim Balashov after three months. The campaign ended with 9,456 messages sent in 17 languages. Saudi Arabia: We publicised the story about Jamal Khashoggi from the IFJ on social media. Turkey: We begin a second round of followup mailings to our Turkish and French lists to promote this campaign, which now appears in 19 languages and has just under 8,000 supporters. We’ve been working to get global trade unions to share the link to the campaign. Turkmenistan: We shared widely the IUF statement supporting a large global campaign on this country. UK: We helped the London Labour Film Festival promote their upcoming special preview showing of the new film “Peterloo”. Fundraising: We’ve continued with a series of emails to leading global, regional and national unions asking for their support to mark our 20th year. Mailing list: We continued with monthly promotions to social media, hoping to grow the English mailing list which is currently at 80,860 subscribers. We imported 203 new addresses from our campaign supporters to 14 of our mailing lists; 80 are for the English list and a record-breaking 70 for the Turkish one. Site redesign: We wrote to all correspondents asking for their “shopping list” of things they’d like to see improved on LabourStart, and have begun to collate these. At the moment it looks like the Iran campaign will soon become our largest, and with boosts from some new translations and followups, it could exceed 10,000 supporters — the first time in a while that one of our campaigns has done that well. Australia: After 3 months, we closed the Exxon Mobil campaign – it had 6,434 supporters. We picked up ten new correspondents from Australia this month – a big welcome to all of you. Our Australian Twitter feed has run into some trouble; we are trying to fix this. Canada: At the request of unions, we’ve publicised a few union jobs to our mailing list. We also did a dedicated Labour Day mailing. France: We’re pressing the unions there through the ITF to find out if we can suspend our long-running campaign in support of railway workers. 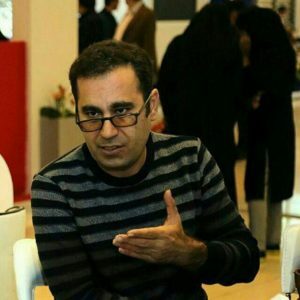 Iran: We launched a major new campaign at the request of the Education International in support of a jailed teacher trade unionist, Mohammed Habibi. It already appears in 16 languages, but we’re hoping for more. If you can help with translations into any of these 10 languages — Arabic, Dutch, Farsi, Finnish, Georgian, German, Indonesian, Korean, Polish, or Swedish — please get in touch with me [ericlee@labourstart.org]. Korea: UNI gave us permission to close the three-month old campaign in support of Oracle workers. Norway: At the request of the NNN union, we suspended our campaign. Switzerland: Eric has been invited to attend a Global Labour Institute event taking place at the end of this month, at the IUF in Geneva. UK: At the request of the TUC, we posted a job to our mailing list and social media. USA: We closed the Wendt campaign after three months with the permission of BWI. Mailing lists: We added 185 new addresses from campaign supporters. New website design: We held another meeting with our London designers to discuss next steps for our website. August is generally a slow month for the international trade union movement, and this is reflected in the lack of new campaigns. Here is what’s happened to our existing campaigns this month — the number in brackets is the total from 17 days ago. Note very significant gains for the Russian and XPO campaigns. Brazil: It seems like we are about to launch a campaign here — stay tuned. Europe: We boosted coverage of the Ryanair strike both on our news pages and on social media. France: We asked the ITF for permission to close our French railway workers’ campaign, now running for more than three months. As you can see above, very few new supporters are signing up. Germany: We promoted a story on social media about the youth section of the trade union federation DGB reiterating their opposition of boycotts of Israel. Indonesia: We promoted the IUF’s Bali campaign in a mailing to LabourStart’s English list, and throughout social networks. Iran: We publicised a new story about repression targetting teacher trade unionists. Israel: We widely publicised a story about a big nurses strike across the country. Kenya: We promoted a story about a tear gas attack on striking hospital workers on our news page and on social networks. Romania: We gave extensive publicity to an IFJ story about attacks on journalists. South Africa: We gave prominence to a story about the AMCU threatening to shut down the platinum mining business. Sri Lanka: We’ve been approached by a global union federation and are about to launch a campaign targetting an employer in this country. USA: We promoted widely a Boston Globe story about the increasing use of lockouts by employers. We also promoted the story about unions winning the referendum in Missouri, defeating a “right to work” (for less) law. Campaigns: We discovered a problem with the code that made some of our pages appear to be security risks for users; now fixed. It looks like we are about to launch two new campaigns — details above. Donations: We received a generous donation from the steelworkers in Canada. Mailing list: We promoted signups to our mailing list on Facebook, Twitter and LinkedIn. We added 34 new subscribers to our lists. We also completed posting translations of texts so that when people support one of our campaigns in any language, but fail to check the box to sign up to our mailing list, they receive a reminder on the landing page. Publicity: At the request of the International Centre for Trade Union Rights (ICTUR), we submitted an article on online campaigning for their quarterly journal International Union Rights. Social networks: We did a mailing to our English list encouraging people to sign up to our pages on Facebook, Twitter and LinkedIn. As a result, we picked up 181 new likes on Facebook and 141 new followers on Twitter. Our group on LinkedIn, oddly, seems have gotten smaller.